In response to the World Social Forum in Tunisia, some Tunisian anarchistshave issued this anti-capitalist manifesto. 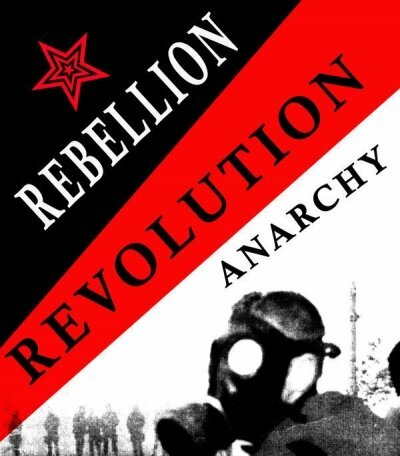 Volume Three of Anarchism: A Documentary History of Libertarian Ideas, contains similar selections regarding anti-capitalist anarchist movements in Egypt, Greece, Europe, Asia, Africa, Latin America and North America. Volume Three is available through AK Press. The economic crisis is not a conclusion created by “experts” and professional critics of the field; even politicians in power and their oppositions admit that they are incapable of putting an end to the outrageous rates of unemployment, impoverishment, undernourishment, diseases and pollution. The repetitive discourses delivered through mass-media are only encouraging people to adjust to the situation and await resolutions that will never come. This proves that the system has resorted to the time-old strategies of encroachment and propaganda in order to survive one of its many major crises throughout history. Wherever and whenever implemented, these strategies only brought about ravages and precariousness. Despite the recurrent scenario of democratic succession to power and elections as a means of power distribution between “left” and “right,” ”liberals” and “conservatives,” and despite the huge budgets spent to organize media campaigns to promote the illusion of “democratic transition” and “political liberties” or “freedom of expression,” only disillusionment is installed. The World Social Forum, which is held and financed by capitalists and their affiliates, is nothing but an attempt to convince the victims of the capitalist system that the inherent reasons behind the economic crisis are so-called “Neo-Liberalism,” “extreme globalization,” ”financial speculation” and worsening debt, which they suggest calls for the one and only alternative and that is the reformation of a system which is the actual source of these ailments. The wretched of the earth are rejecting their everyday reality through uprising and revolting; now they know that union and determination are the keys to their own liberation and to the liberation of future generations from the grip of capitalism. We boycott and oppose this Forum not only because we refuse tohave anything to do with the bureaucratic syndicalist associations organizing the event, and because the mere participation in the Forum is equivalent to being part of the project of promoting for and installing colonialist collaboration and social submission which are cherished by the bourgeoisie, its media and political mediocrity, but also because we primarily boycott every reform movement whether it comes from the right or the left. As the crisis is intensifying and is more keenly felt by the masses we can see disobedience movements being born all over the world along with incessantly growing uprisings. These different crises have resulted in revolutionary movements in different countries like Tunisia, Egypt, Yemen, and Bahrain as well as social uprisings in Greece, Spain, Portugual, and even in the United Kingdom and the United States. This call is ours. It is that of the marginalized, the unemployed graduates and non-graduates, the farmers without lands, women without voices, the exploited miners, all those that the bureaucrats of the WSF pretend to represent after excluding them from the organizations of debates. Our call is that of the disobedient, revolutionaries and other social movements opposed to the capitalist system and authoritarian governments. Mass-media owned by world capitalism spend billions to circulate the illusion of democratic transitions. It distorts any experience or attempt of self-organization by workers to manage their own resources because it threatens the capitalists’ best interests. We call upon all the revolutionary forces of the world, movements and organizations of resistance to capitalism to unite our work internationally against the pseudo-democratic states or dictatorships whether they are secular or religious, liberal or conservative. Posted on March 19, 2013, in North Africa, Theory of Anarchism and tagged Anarchism, Arab Anarchists, Tunisia. Bookmark the permalink. Leave a comment.